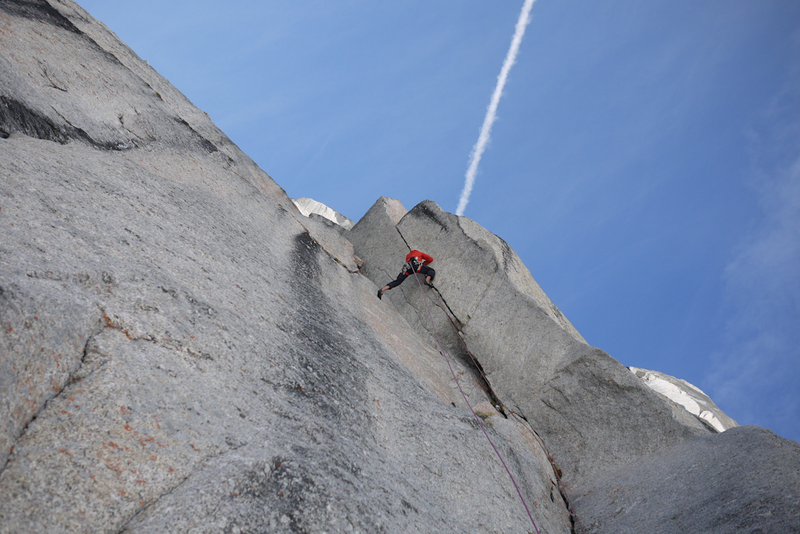 Climbing in the Bugaboos is always a highlight of the summer and definitely one of my favourite places to climb. 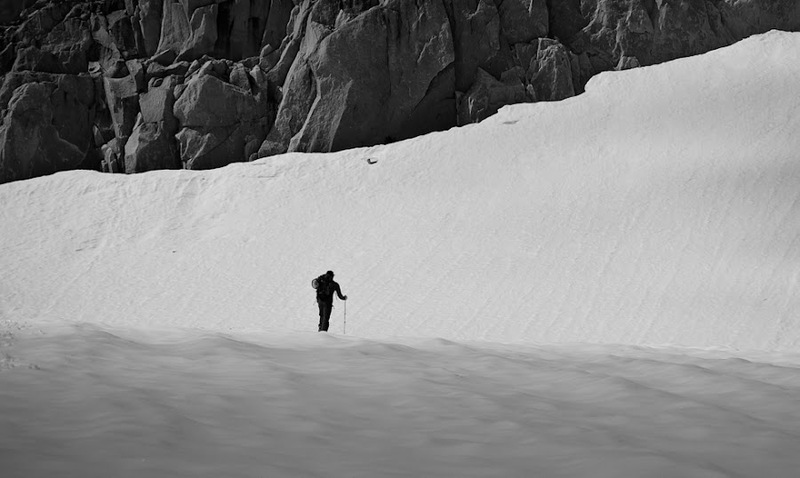 The rugged hike through wildflowers as you climb towards Applebee, the mystic and grandeur of the spires as they glow in the evening light, and the long shadows draped across the glaciers as a lone headlamp weaves down the Bugaboo/Snowpatch Col. There is something eternally special about the place. 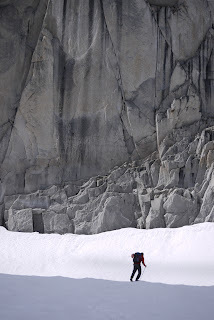 Last week Simon Meis and I took advantage of a splitter forecast to session the east face on Snowpatch. 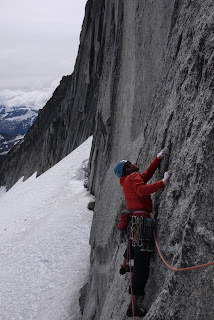 We decided to forgo the usual journey across to the west side so that we could focus on hard free climbing close to 'home' (Applebee). 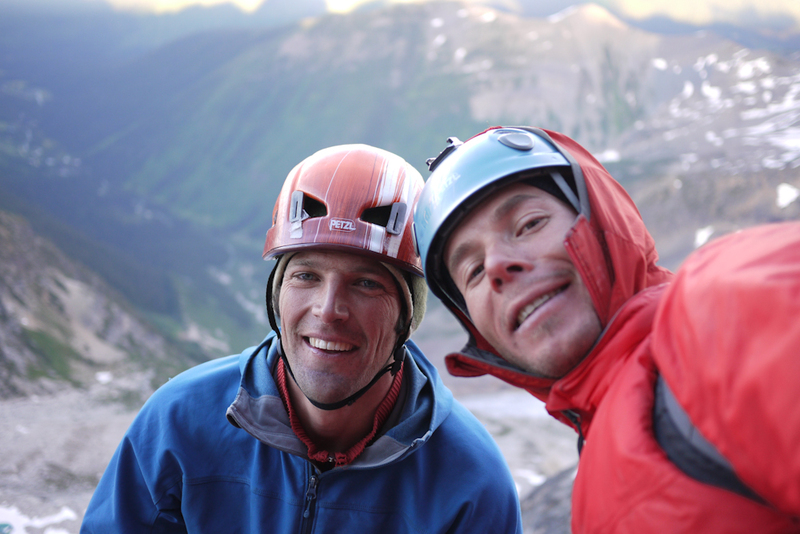 The locals Chris Brazeau and Jon Walsh have been climbing on the east side for several years now, establishing some world class routes. 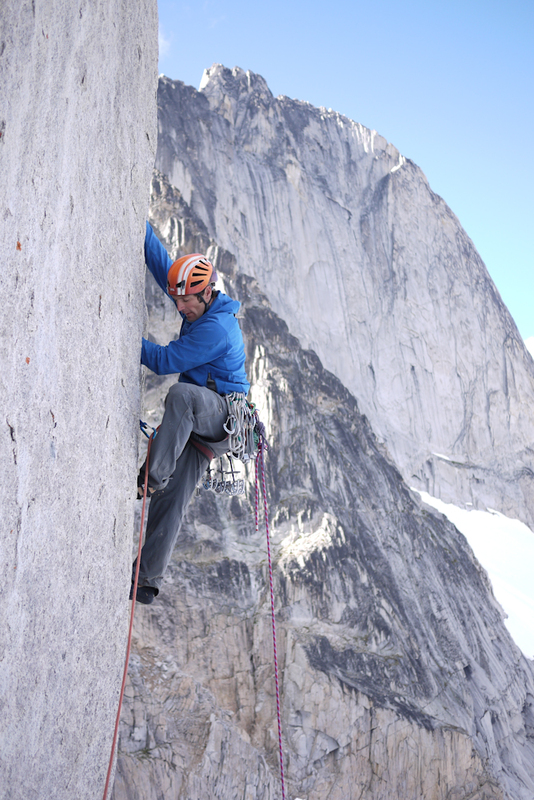 While climbing with Jon the week prior he was adamant that I needed to sample the routes on the east face. So, with a large free-climbing rack, a backpack full of puffy jackets we set our sites on free climbing as much as we could with as little walking as possible. In the five days that we were in Applebee we climbed, Sweet Sylvia, Sendero Norte, and Labyrinth. most days didn't start before 10am. The 2nd pitch of Sweet Sylvia, a sporty 5.12. Simon susing out the right hand variation to pitch 5. The original ascent climbed an overhanging 5.11+ hands to 5" crack, a Craig Luebben classic. 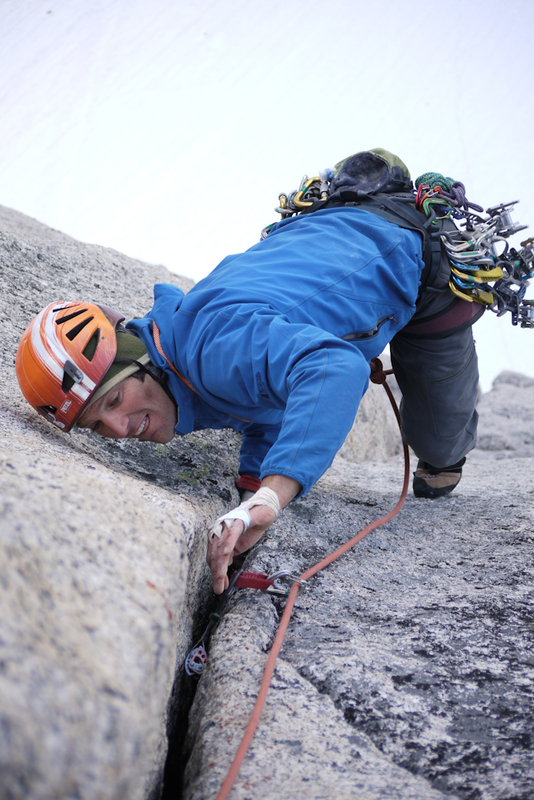 The right hand variation climbs a 5.12 hands to fingers to 5" offwidth thus avoiding the 4" section. Simon stepping off the belay into a perfect 25m hands to fingers splitter. 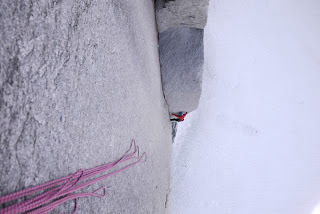 Pitch 6 was a sustained 55m 4" crack, luckily it wasn't overhanging. Even with 3 number 4 Camelots it was still runout. 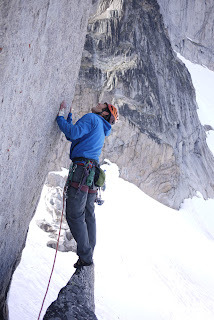 Stepping left into the crux second pitch of Sendero Norte. 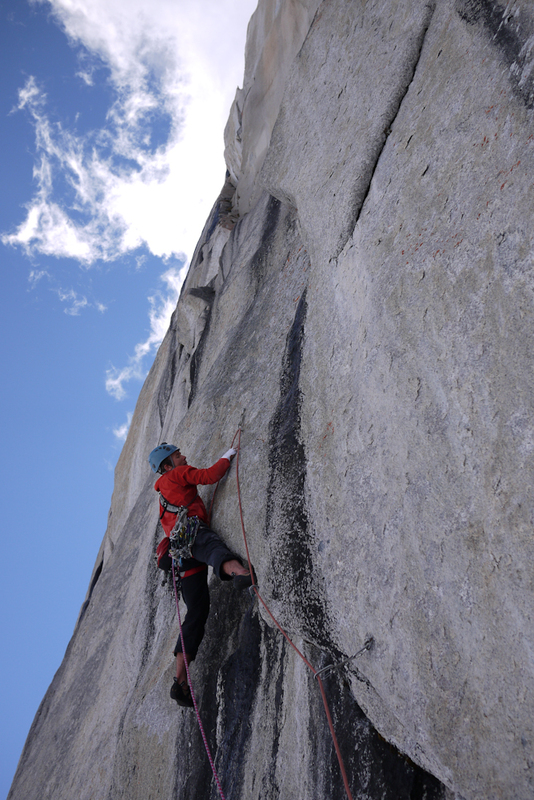 A stiff .12+ which is often wet at the crux. Climbing the Split Pillar of the east (Pitch 4). A spectacular 5.10 hands to fingers layback. As Gery Unterasinger said" one of the better granite pitches in the 5.10 range in Canada"
The second crux of the 7th pitch on Labyrinth. 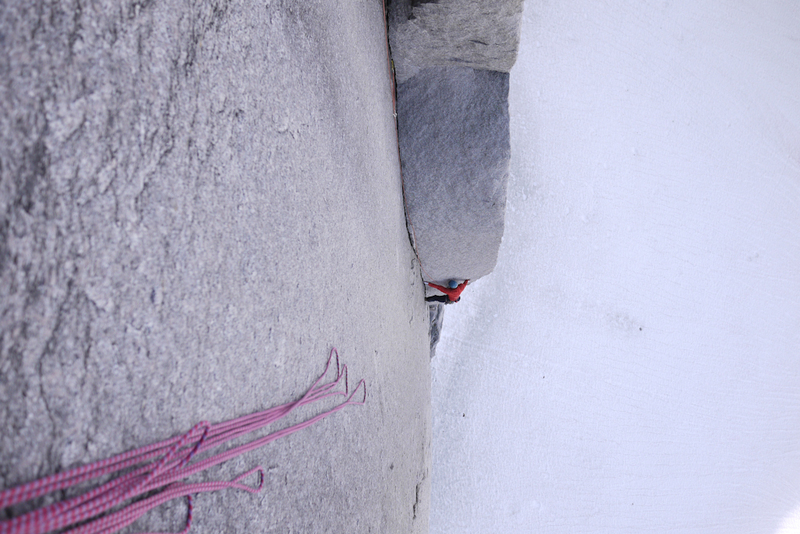 A slab dyno just below the belay. 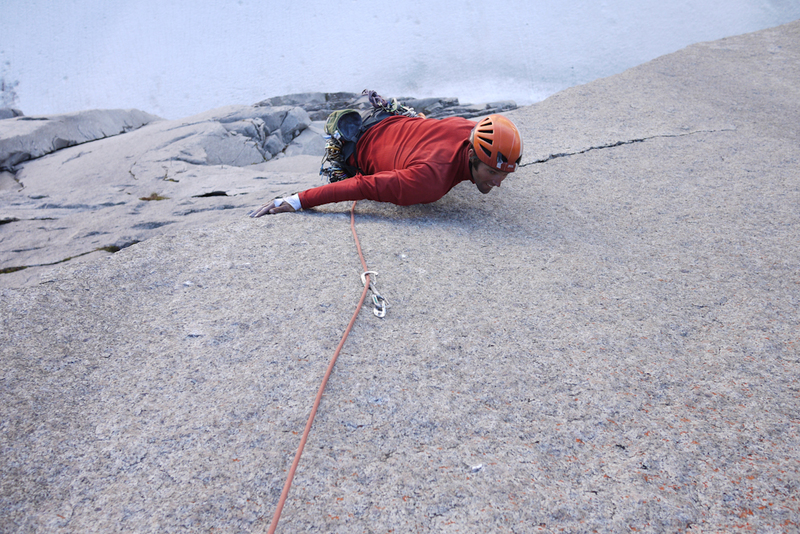 Pitch 3 on Labyrinth, a spectacular .12a overhanging fat fingers splitter. Simon Meis and me topping out late in the pm after another day of cragging.